For other people with the same name, see James Dykes (disambiguation). 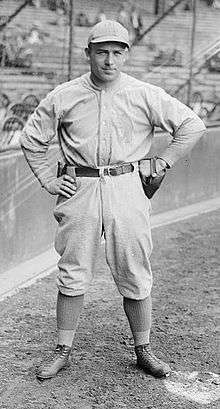 James Joseph Dykes (November 10, 1896 – June 15, 1976) was an American third and second baseman, manager and coach in Major League Baseball who played for the Philadelphia Athletics and Chicago White Sox from 1918 to 1939. He batted over .300 five times and led the American League in assists once at second base and twice at third base, ending his career sixth in AL history in games at third base (1,253), and seventh in putouts (1,361), assists (2,403), total chances (3,952) and double plays (199). When he retired, he ranked eighth in AL history in games played (2,282), and ninth in at bats (8,046). He holds the Athletics franchise record for career doubles (365), and formerly held team marks for career games and at bats. He went on to become the winningest manager in White Sox history with 899 victories over 13 seasons, though his teams never finished above third place; he later became the first manager in history to win 1,000 games without capturing a league pennant. Born in Philadelphia, Dykes played for three local teams at age 16 in 1913. The first was "his father's Penn Street Boys Club"; the second one paid 50 cents a game plus carfare (to Ardmore on the Main Line); the third paid $1 a game. By 19 he played in the Delaware County League, which the major leagues declared an outlaw league a few years later, for infringing their control of the professional sport. Dykes began his major league career on May 6, 1918, as a second baseman for the Athletics, and served in the wartime Army after the season ended. He spent most of 1919 in the minor leagues after reporting out of shape in spring training, but quickly became one of manager Connie Mack's favorite players with his defensive versatility and easygoing manner, and remained with the club for the next 14 years, primarily at third base. With powerful wrists and reputedly the sport's best throwing arm, he took advantage of Shibe Park's friendly dimensions to finish among the league leaders in home runs in 1921 and 1922, and batted .312, .323, and .324 in 1924, 1925 and 1927. He was named team MVP in 1924 and placed eighth in the league MVP vote in 1927. In one 1927 game, he played every position except catcher and left fielder, even appearing as a relief pitcher. In 1929, he batted .327 and was ninth in the American League in slugging average as the Athletics won their first pennant in 15 years. He capped the season by hitting .421 in the World Series against the Chicago Cubs; in Game 4, he had two hits and three runs batted in in a 10-run seventh inning as Philadelphia overcame an 8-0 deficit, and they won the Series in five games. In 1930 Dykes batted .301 as the Athletics repeated as champions; in the 1930 World Series against the St. Louis Cardinals, he batted only .222, but drove in the winning run in Game 1 and had a 2-run home run in the final Game 6, a 7-1 victory. In 1931, his batting average dropped to .273 as Philadelphia won its third straight pennant; but they lost their rematch with the Cardinals as he hit .227 in the 7-game Series. At the end of the 1932 season, after a disappointing year for the team, Dykes was sold to the White Sox together with Al Simmons and Mule Haas in order to keep the franchise afloat during the Depression; with the Sox, he was selected to the first two All-Star Games in 1933 and 1934. In 22 seasons, Dykes was a career .280 hitter with 2,256 hits, 108 home runs, 1108 runs and 1071 RBI in 2,282 games, along with 453 doubles and 90 triples. His 115 times being hit by a pitch ranked second in AL history behind Kid Elberfeld's 142, and his 850 strikeouts ranked fourth in major league history. He was the last active major leaguer who had played in the 1910s. 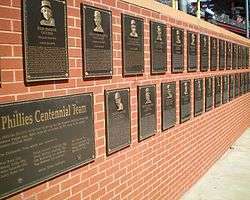 His Athletics team records of 1,702 games and 6,023 at-bats were broken in the 1970s by Bert Campaneris after the franchise relocated to Oakland. Early in the 1934 season, he succeeded Lew Fonseca as White Sox manager; he was a player-manager from 1934 through 1939, and after retiring as a player continued as manager until early 1946. As a manager, he proved more combative and argumentative than he had been as a player, and was often fined and suspended; his 62 ejections were among the all-time top ten when he retired. After Ted Lyons replaced him as the White Sox manager, Dykes managed two years in the minor leagues with the Hollywood Stars. He returned to the majors in 1949 as a coach with the Athletics. On May 26, 1950—one month into the season—he was promoted to assistant manager. It was also announced that Mack would retire after the 1950 season after 50 years at the helm, and Dykes would succeed him for the 1951 season. However, for all intents and purposes, Dykes became manager in all but name for the remainder of the 1950 season; he became the team's main game-day operator, and split control over most baseball matters with former teammate Mickey Cochrane, who became general manager. Although Mack, who by this time was now sole owner of the club, maintained his position as team president, he was now a figurehead. Dykes remained as manager until the end of the 1953 season. Jimmy Dykes as manager of the Athletics. Named the Baltimore Orioles' first manager in 1954 after that franchise relocated from St. Louis, Dykes left in a team reorganization which ended with Paul Richards becoming both field and general manager in 1955. 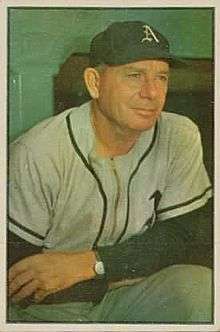 Dykes then ended his 35 years in the American League when he became a coach with the National League's Cincinnati Redlegs, leading them as interim manager for part of 1958. But he came back to the AL as manager of the Detroit Tigers in 1959. At that point, Frank Lane, then general manager of the Cleveland Indians and famous for his numerous transactions, sent Joe Gordon to Detroit and brought Dykes to Cleveland in a rare trade of managers. Dykes managed the Indians from 1960–1961. In 21 seasons as a manager, Dykes compiled a 1,406-1,541 record; he never won a pennant, and his highest finish was third place. He ended his 44-year major league career in 1964 after completing three seasons of coaching for the Milwaukee Braves and the Athletics, who had relocated to Kansas City by that time. Although he had a different style of managing his teams, Dykes had authority, was testy and combative; he liked to make use of his entire roster and was regarded as a motivator of players. In a 1954 news story, Dykes was characterized as generally well liked by the players under him. "He's a pretty good guy," one Oriole said, "he doesn't say much but he knows how to put you straight when he has to." "Everyone feels pretty good under him," another player said. "You know he expects you to play ball but he doesn't come around and bother you about it." Dykes was known as a practical jokester and was especially fond of exploding cigars which he passed out like candy. At one time he got confused when handing one to a sportswriter he knew, which exploded in his own face in front of the intended victim; "got my hands crossed", Dykes explained. Dykes died in Philadelphia at age 79. ↑ Lanctot, Neil (1994). Fair Dealing and Clean Playing: the Hilldale Club and the development of black professional baseball, 1910–1932. Jefferson, North Carolina: McFarland. p. 6. ISBN 0-89950-988-6. 1 2 3 "Biography". sabr.org. Retrieved 2007-07-30. 1 2 3 "Jimmy Dykes career statistics". baseball-reference.com. Retrieved 2007-07-30. 1 2 3 4 "Jimmy Dykes managerial statistics". baseball-reference.com. Retrieved 2007-07-30. ↑ "Jimmy Dykes career statistics". retrosheet.org. Retrieved 2007-07-30.